Discussions Magazine Music Blog: THE EXPLORERS CLUB: An EXCLUSIVE Q&A with Jason Brewer! THE EXPLORERS CLUB: An EXCLUSIVE Q&A with Jason Brewer! When The Explorers Club released their debut album, FREEDOM WIND in 2008, the Billboard charts were not exactly receptive to their well-crafted and quite glorious Beach Boys-influenced sound. Let’s face it: fans of Fall Out Boy, Avril Lavigne, Sum 41, and Thirty Seconds To Mars (and whoever else occupied the charts that year) were not going to rush out and buy the type of music that their parents enjoyed. 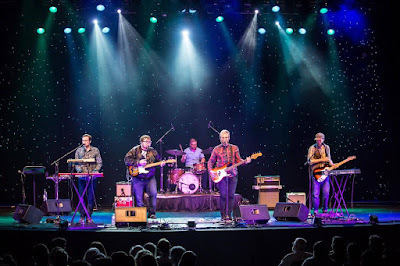 However, the band’s engaging and surprisingly authentic approach to the winsome sound of California summers touched the hearts of those seeking something fresh and nostalgic at the same time. Not bad for a band from South Carolina! Four years later, the band faced the same dilemma with the excellent GRAND HOTEL album, which blended their pure Beach Boys-like harmonies with gorgeous songs that recalled Burt Bacharach, Paul Williams and other classic Pop writers. Again, those critics and fans who appreciated and understood Pop history fell in love with GRAND HOTEL. And while the band began to gain some traction, their delicious slices of pure, honest ear candy didn’t necessarily lead them to the top of the charts. Insert ‘face palm’ here. Putting together glorious albums and singles can be tough when they don’t reach a larger audience, and The Explorers Club had reached a point where they weren’t sure if they were going to continue. 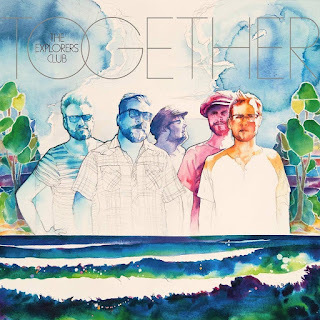 Thankfully, four years on, they’ve released their third album, TOGETHER, and it is everything you’d want in an Explorers Club album – those Beach Boys harmonies and simply beautiful songs prove they truly understand the art of making great records. These arrangements are complex but the end result is stunningly simple and heart-touchingly pure. TOGETHER is an album that reveals more textures each time you give it a spin. It’s a feel-good record that does its job… and then some! Let’s hope the third time is the charm and the world finally succumbs to their The Explorers Club and their magical, musical powers! STEPHEN SPAZ SCHNEE: Your album TOGETHER has just been released. How are you feeling about the journey it took to make the album and the reaction to it so far? JASON BREWER: Well, we are just now getting reaction coming in and the folks who have heard it are excited. The album started a year and a half ago, so to finally have it out is rewarding. It was a lot of hard work and, to be honest, we had a lot of obstacles in our way to getting it released. So yes, extremely rewarding. SPAZ: TOGETHER seems to be more relaxed and confident than your previous albums. As a band, are you feeling that you’ve hit your stride or do you still feel that you have something to prove? JASON: We feel like it's still just the beginning of what we can do. This is the best version of the band and it shows on this album. We can do much more. 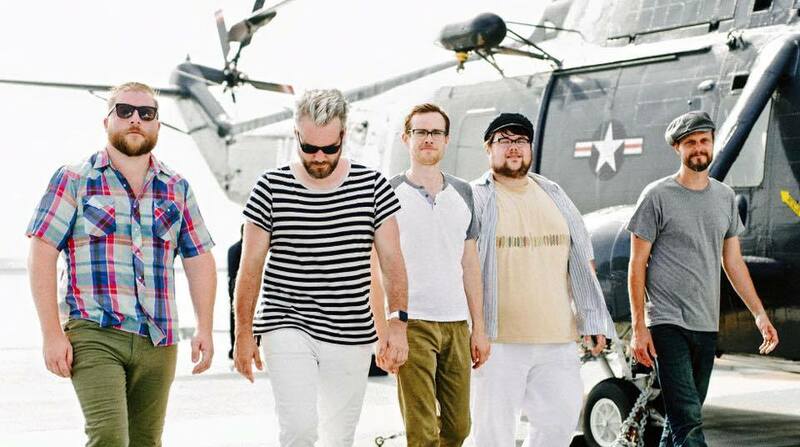 SPAZ: There were features online a few years back that stated that this would be the final Explorers Club album. Is that still the case or will you make that decision at some point in the future? JASON: Not true. It was something I pondered but it is not the case. SPAZ: Did you go about recording this album differently than your prior albums – FREEDOM WIND and GRAND HOTEL – and singles? Or do you have a specific way you like to work? JASON: With this album, we recorded as much as possible all at once in the same room – and to analog tape no less. The other albums were done piece by piece but this album we did a lot of it quickly the old fashioned way. I also chose to record in Nashville as opposed to Atlanta where the other two were recorded. SPAZ: Do each of the band members have musical input when it comes to arranging the songs? And can you recall any particular time when one suggestion changed the course of a song for the better? JASON: On this album, the guys put in some ideas on the backing tracks but I had a strong vision of what I wanted each song to be. We certainly smoothed things over together when we played them but, overall, vision stayed the course. SPAZ: When you went into the studio to record TOGETHER, did you have a definite idea of which direction you wanted the album to take or did you let it grow organically? Has this been the case for each album? tend to lose interest if It doesn’t become what I was aiming for. SPAZ: There are many artists working at an indie level that focus more on hooks and melodies than ever before. How do you feel about the musical climate these days? Is it more difficult or easier for you to be heard now than it was when Pop Punk and Emo ruled the indie scene when you started out? JASON: I would say it is more difficult than ever. Radio people are afraid of what we do. Because we essentially are an island in terms of current groups doing this type of Pop, we have a perpetual uphill battle at all times. 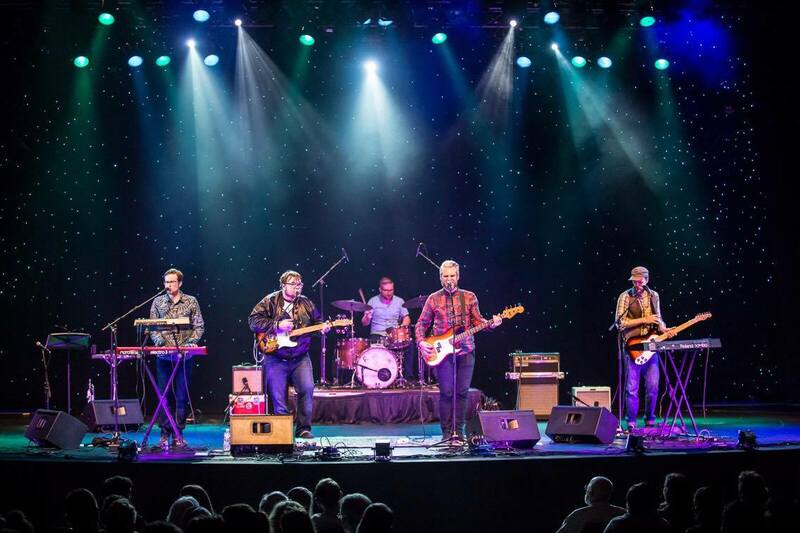 SPAZ: The Beach Boys are obviously your main influence, but there are loving nods to many other classic artists including Burt Bacharach and The Beatles. Are there any other influences that may not be that obvious to the listener? “Bluebird,” off of your GRAND HOTEL album, certainly recalls Anne Murray’s “Snowbird”! JASON: I actually heard the Elvis cut of “Snowbird” first! I am very big into Abba which snuck its way into our last record. I love The Zombies, Hall & Oates, and Neil Young a ton but they don’t seem to pop up in our songs. SPAZ: There are bands that pay homage to The Beach Boys by taking the most obvious elements and then try to ‘sound’ like them. The Explorers Club truly understands their music from the inside out. You create recordings that ‘feel’ classic even though the tracks are originals. Do you write these songs with specific ideas or arrangements in mind or do you compose your material and then build up the arrangements as you go along? JASON: It goes either way, but the common thread is that the song has to be good first. I usually have an idea of the production about halfway into the song’s germination period. SPAZ: Did you feel like a ‘fish out of water’ in South Carolina creating this kind of feel-good music that has its roots firmly in the West Coast (and especially Southern California)? And does it feel any different now that you’ve moved to Nashville? JASON: I did somewhat in SC. I mean, I am from Charleston, which is the coast. I could go to the beach on my lunchbreak if I wanted to. Now Nashville is landlocked and not nearly inspiring, scenically speaking. SPAZ: Does it frustrate you that people often hear the Beach Boys influences but don’t pay close attention to the actual songwriting that you obviously invest your heart and soul into? JASON: I guess it can be a drag but to be mentioned in the same sentence as Brian and Co. is always incredible. I do wish writers would really dig into our albums because there will always be layers and massive attention to detail that they miss on. Peppered all through our albums are some great tunes that seem to always get overlooked by reviewers. SPAZ: What’s next for The Explorers Club? JASON: I want to start a new album with the guys before the year is up. JASON: The new Weezer, the last Rumer album, the new Monkees release and (Beach Boys’) MIU Album and Shutdown Volume 2. A correction to the body of the lead in: it's South Carolina, not North Carolina. Insert second 'face palm' here! Thank you for pointing that out!